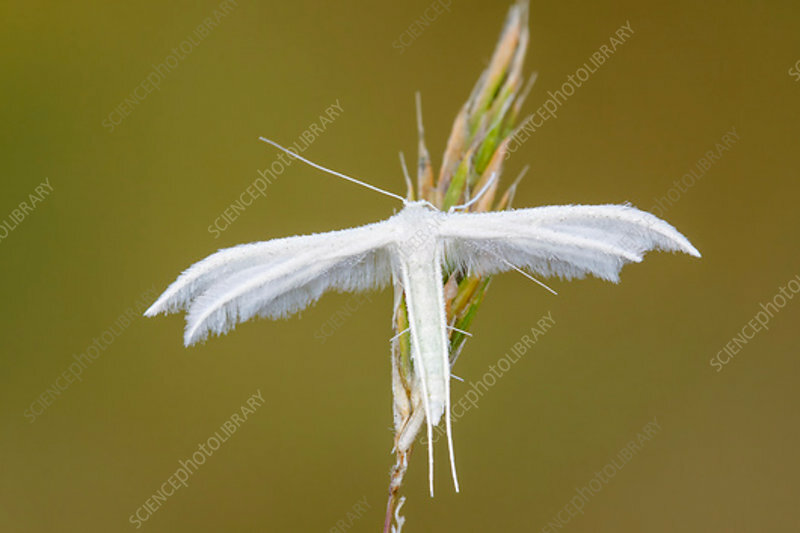 A top down view of a dew covered white plume moth (Pterophorus pentadactyla) resting on a grass seedhead. An easily distinguishable species of plume moth named by the feathery plume like wings. It is often found in a variety of habitats including open grasslands, gardens and woodlands usually from June to August. Photographed in Somerset, UK, in June.